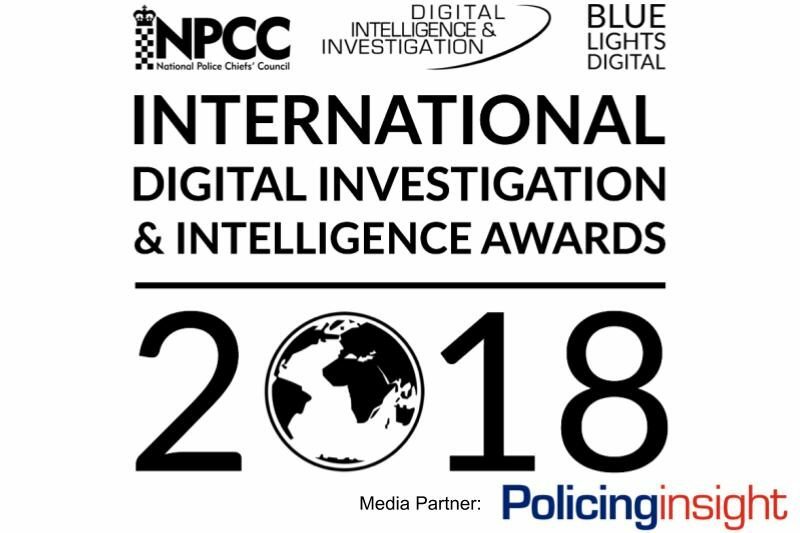 Policing InsightNewsInternational Digital Investigation and Intelligence Awards 2018: The Finalists! The finalists for the International Digital investigation and Intelligence Awards 2018 - supported by Policing Insight - have been announced. 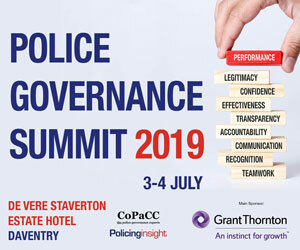 Chief Constable Stephen Kavanagh, NPCC National Lead for Digital Policing, told Policing Insight: "My sincere congratulations to those of you who have been identified and selected as finalists in each category. You are utter professionals and an inspiration to those who monitor your achievements”. In only its second year, the awards saw overwhelming support and interest this year, with 32 different UK Law Enforcement organisations represented across the nominations. Additionally, this year saw the first international entries with ground breaking work being shared from international partners as far afield as the South Australian Police. All entries were judged by an independent panel compiled of senior stakeholders, subject matter experts and awards alumni on the Tuesday 6th February, 2018 at Blue Lights Digital Headquarters in Cambridge. This was incredibly challenging due to the significant number of quality entries demonstrating how critical digital investigation and intelligence capability has become in combatting both traditional and cyber crime. The standard of the entries was so impressive that many categories caused significant debate amongst the panel and required tie-breaks and re-votes to separate the nominees. My sincere congratulations to those of you who have been identified and selected as finalists in each category. You are utter professionals and an inspiration to those who monitor your achievements. Exceptional Voluntary Contribution to Digital Investigation Capability. Finalists from: National CSCV Programme; Gloucestershire Constabulary; Hampshire Constabulary CSCV Team. Award category sponsored by Premier Partnership. Exceptional Work in the Prevention of Cyber Crime. Finalists from: EMSOU Regional Cyber Crime Unit; National Crime Agency Prevent Team; Bedfordshire Police Cyber Hub. Award category sponsored by Roke. Exceptional Use of Communications Data in a Complex Investigation. Finalists from: Police Service of Northern Ireland; Hampshire Constabulary DMI Team; Leicestershire Police RFPS Team. Award category sponsored by Forensic Analytics. Application of Advanced Open Source Intelligence. Finalists from: Police Service of Northern Ireland; Durham Constabulary; West Midlands ROCU. Award category sponsored by GBG. Intelligent use of Digital Forensic Triage techniques. Finalists from: Leicestershire Police; Leicester Police (again! ); West Midlands Police DMI Team. Award category sponsored by Evidence Talks. Use of Advanced or Cloud Digital Forensic Techniques. Finalists from: Metropolitan Police; National Prison Intelligence Co-ordination Centre; TITAN Regional Cyber Crime Unit. Award category sponsored by Magnet Forensics. Excellence in Leadership of a Digital Investigation Unit. Finalists from: Thames Valley Police Cyber Team; Lancashire Constabulary; Essex & Kent Police Digital Units. Award category sponsored by BAE Systems. Contribution to Developing Emerging Sources of Investigation. Finalists from: EMSOU Cyber Crime Unit; Suffolk Constabulary; South Australian Police. Award category sponsored by Geoff Smith Associates. Advanced Acquisition and Use of Vehicle Based Data in an investigation (New category for 2018). Finalists from: HMRC Fraud Investigation Service; EMSOU Digital Research; Dorset Police. Award category sponsored by Harper Shaw Investigation Consultants. Big Data Analysis in a Complex Investigation. Finalists from: West Midlands ROCU; West Midlands Regional Cyber Crime Unit; National Crime Agency. Award category sponsored by KBR. Digital Investigator of the Year 2018. Finalists from: the City of London Police Cyber Crime Unit; Hampshire Police DMI Team; Essex Police Economic Crime Team. 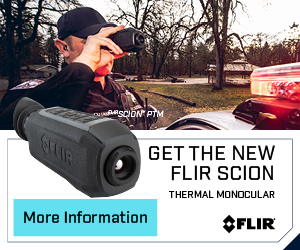 Award category sponsored by Cellebrite. The awards dinner will take place in March and is supported and attended by senior stakeholders from UK and international law enforcement organisations who will come together to recognise, celebrate and commend the work undertaken by those selected as finalists for the 2018 awards. “I was thrilled at both the volume and quality of submissions again for the 2018 event which demonstrated to me cutting edge capability and significant progress.